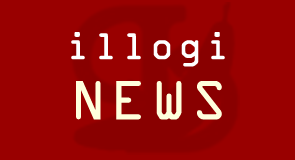 IllogiNews has been revamped! In addition to adding your own news headlines as usual, users can now add brief summaries of their latest IllogiNews reports. Check out classic articles, the latest headlines in all Illogicomedia projects and the news in pictures at the new look IllogiNews page. As ever, Illogicomedia looks forward to hearing your opinions and have set up a forum topic for you to comment on this latest development.